This article explains how you can set up an SSL vhost under Apache2 on Ubuntu 9.10 and Debian Lenny so that you can access the vhost over HTTPS (port 443). SSL is short for Secure Sockets Layer and is a cryptographic protocol that provides security for communications over networks by encrypting segments of network connections at the transport layer end-to-end. We use the mod_ssl Apache module here to provide strong cryptography for Apache2 via SSL by the help of the Open Source SSL toolkit OpenSSL. It is important to know that you can have just one SSL vhost per IP address - if you want to host multiple SSL vhost, you need multiple IP addresses! #     user name is the `one line' version of the client's X.509 certificate. #     file needs this password: `xxj31ZMTZzkVA'. #     This exports the standard SSL/TLS related `SSL_*' environment variables. #     exportation for CGI and SSI requests only. #     and no other module can change it. #     directives are used in per-directory context. #     mod_ssl sends the close notify alert. 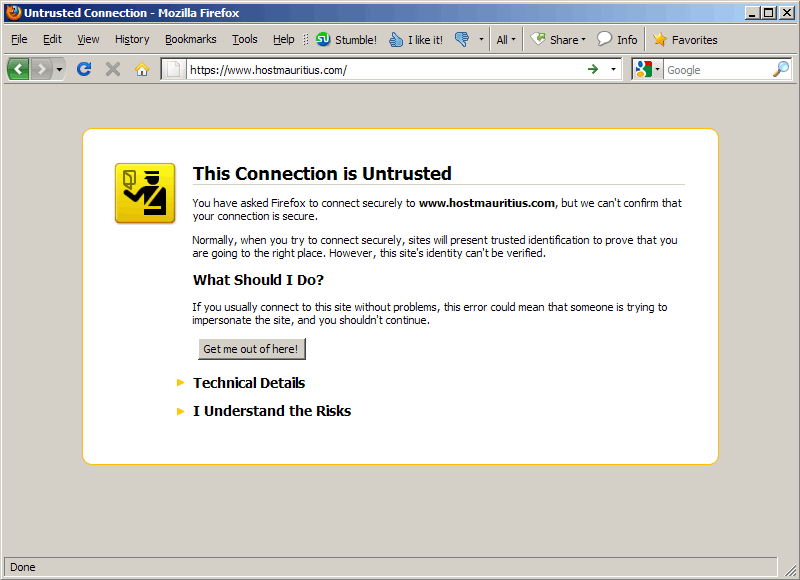 Until now, we've used Debian's/Ubuntu's default self-signed certificate. I will now show you how to create your own self-signed certificate. With this certificate, you will still get browser warnings, but this certificate is required to get a trusted certificate from a trusted CA later on. 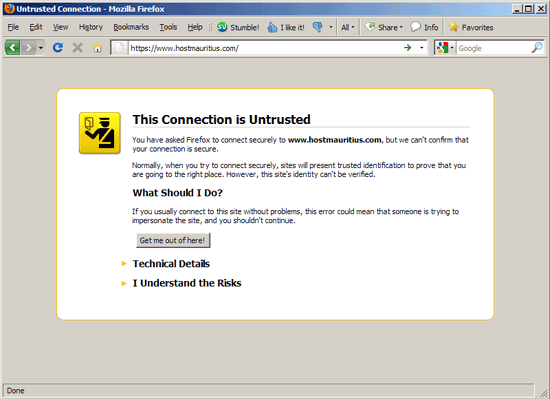 The SSL vhost will now use your new private key and self-signed certificate for encryption (but because it is a self-signed certificate, you will still get the browser warning when you access https://www.hostmauritius.com). Falko, a well-written article which solved a weekend of frustration configuring Apache2 with an SSL certificate. I decided to subscribe to HowtoForge based solely on the high quality of your article. How can I download the Adobe PDF version of this article? For a site that accepts both http and https connections, do I need two virtual host files? So for instance, similar to "default" and "default-ssl," would I create "mysite" and "mysite-ssl" and then enable both of these? OR do I just need the "mysite-ssl" virtual host file? This was the best tutorial on this subject that I came across. I joined this forum because of it.